Ask nicely and you shall receive. 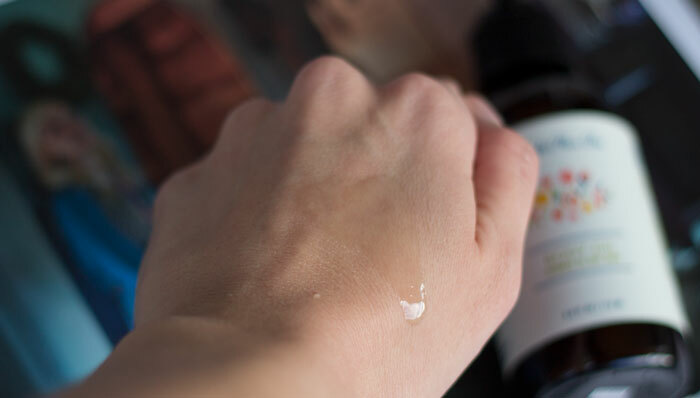 Back in March, I reviewed Rachel’s Plan Bee Facial Oil, a simple, vanilla-scented face oil that’s budget-friendly and effective. I love vanilla as much as the next gal, but I wasn’t sure how many of you would be taken by the idea of having a vanilla-scented face. Thus the inclusion of a “Hey Rachel, wanna make this into a body oil?” at the end of my review. And it happened to coincide with a stunning new product redesign that makes me even happier to use and wholeheartedly recommend Rachel’s Plan Bee products. Now clearly I wasn’t the only one who requested that Rachel create a luscious body oil, given the wild success of her facial oil. Tons of other fans out there told the Queen Bee they needed this decadent oil in a pump bottle for the body, and WOW she delivered! 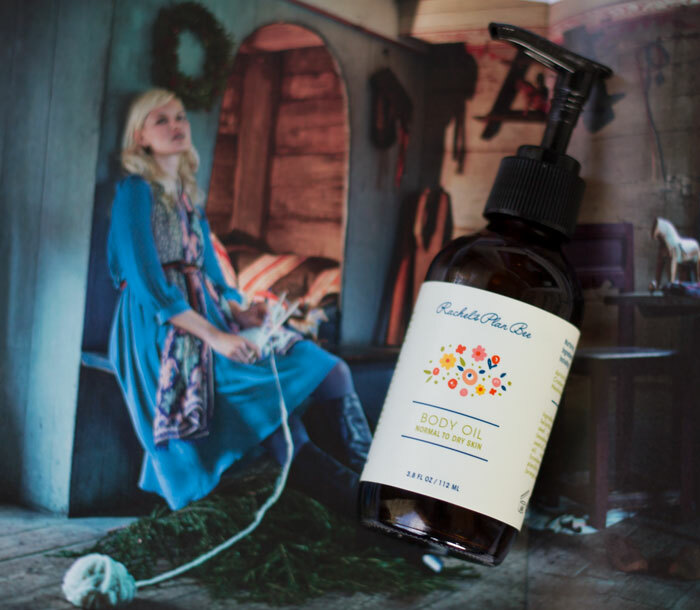 Rachel’s Plan Bee’s new Body Oil has the same familiar scent and feel of the facial oil, but with the addition of a few key ingredients that make for a better slip and faster-drying effect for the entire body. Body Oil Ingredients: Apricot kernel oil, helianthus annuus (sunflower) seed oil, limnanthes alba (meadowfoam) seed oil, grapeseed oil, tocopherol oil, safflower oil, vaccinium macrocarpon (cranberry) seed oil, vanilla planifolia, citrus sinensis (orange) peel oil. As you can see, the Body Oil includes sunflower seed oil, meadowfoam seed oil and safflower oil, which are all oils well-known for their ability to provide a beautiful texture and quick-drying effect when massaged onto the skin. All of the carrier oils (apricot kernal oil, sunflower seed oil, meadowfoam seed oil, grapeseed oil, vitamin E and safflower oil) combine to pack a dense hydration that your skin will drink up, but without feeling overly sticky or coated. As with all my body oils, I apply this straight out of the shower, onto damp skin, and quickly massage it in before putting on a robe and doing my hair and makeup in the morning. I absolutely adore the scent, and it again makes for a nice base layer of fragrance, especially if you tend to use vanilla and spice scents in your daily beauty routine. If you haven’t already found your favorite body scrub, might I suggest taking a peek at Rachel’s? Her Body Polish collection includes my favorite, Vanilla & Spice (reviewed here, but please note the packaging has the older design!) and makes for an even better base layer to use before applying the oil. Your skin will be smooth and smell good enough to eat! So, if you couldn’t already tell, Rachel’s Plan Bee Body Oil is a favorite of mine and a definite repurchase. Now, let’s see if this “ask nicely and you shall receive” thing works again: I would love to see an expanded collection of body oil scents to match the scrubs and body butters in Rachel’s collection! And one more thing, which is probably a “phase 2 or 3” for this beauty startup: How cool would it be to see certified organic ingredients in the collection? Beauties, we know that we will pay more for certified organic — would you pay a bit more for that in this particular collection? I don’t know how much the cost would go up with the incorporation of certified organic ingredients, but it seems like the logical next step after adding more scents and redoing the product design. These are the things that excite me about seeing all these great new green beauty brands come to life! Evolution is cool, no? Have you tried anything from the newly redesigned Rachel’s Plan Bee? What are your favorite products from the line? What are your thoughts on using certified organic vs. natural botanical ingredients? Tell me in the comments section!